Who doesn’t love the annual Sunday school concert, with the children of the church on stage, welcoming all to consider the birth of Jesus? 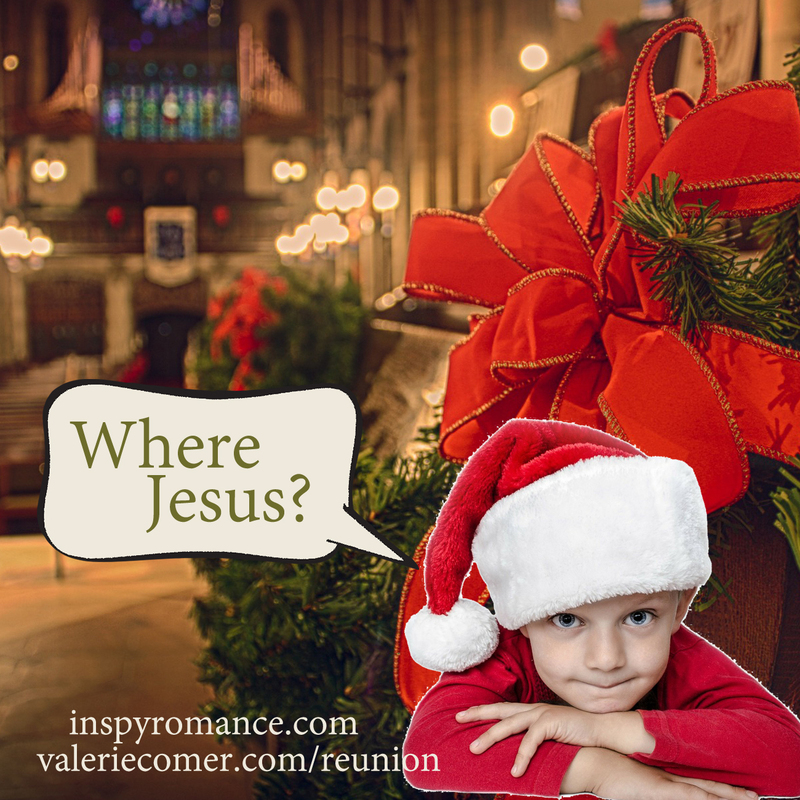 Sit back and enjoy this excerpt from The Cowboy’s Christmas Reunion! The congregation hushed after singing O Little Town of Bethlehem, waiting expectantly. Spotlights shone on a makeshift stable housing a manger toward the rear of the stage. From the back of the country church came the sound of jingle bells, and seven or eight toddlers scrambled down the center aisle, shaking them gleefully, Jericho in the middle of the pack. Lauren Yanovich sorted them into a line on the stage. A little girl in a ruffled dress burst into tears, and Lauren sat on the edge of the platform and whispered to her until she calmed. Meanwhile, Jericho and another little boy jumped off, the bells in their hands jarring discordantly. An older woman hurried over and lifted the two back up. Laughter rippled over the audience. Kade palmed his forehead. “Oh, man,” he whispered. Cheri couldn’t help grinning as Harmony climbed on her lap for a better view. Weren’t the two-and-three-year-olds always the stars of any Christmas concert? Maybe Dillon wouldn’t bother her here where everyone knew them both, where Kade stood guard. Maybe she could just settle back in at Paradise Creek, at Springs of Living Water Church, in the community. Maybe next year Harmony would be onstage with the older kids, playing an angel, or maybe even the part of Mary. Music came through the sound system — Jingle Bells — as the little ones shook their bells and belted out a rendition Cheri hadn’t heard before. Jericho bellowed as he waved his bells over his head. Kade groaned and sank deeper in his seat. Cheri only hoped a parent closer to the front was capturing the moment in video. The kid was too cute. Lauren gathered the bells, but not until Jericho had done another dance routine all his own. Then the music for Away in a Manger began, and the toddlers watched each other for cues for the actions that came with it. The little girl who’d cried lisped out the words, but Jericho dashed over to the stable and peered into the manger. “Where Jesus?” he called out. “What’s he doing?” whispered Harmony. Giggles shook Cheri’s body, and it was all she could do not to let them erupt. Others in the building didn’t hold back as Lauren beckoned Jericho over. Not that he obeyed. He lifted a handful of hay and peered closer. “No Jesus.” By now all the other children had given up on the song’s actions and were staring at Jericho. A little girl ran over to inspect the manger with him. Finally the music came to an end, and Lauren managed to get her charges off the platform and back down the aisle to resounding applause. Her snickers let loose as Kade edged past her. Other parents also made their way to the back as the next age group of children came forward. Four and five-year-olds were slightly more predictable but no less sweet. Cheri clung to Harmony as her daughter peered, trying to see the performance of her age-mates. Yes. Next year. God had brought her this far. Surely He wouldn’t ditch her and her daughter now. 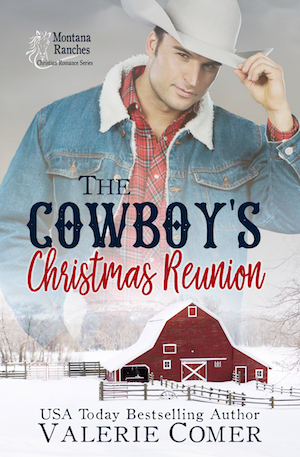 The Cowboy’s Christmas Reunion is available in A Christmas to Remember box set through the end of 2018. The paperback is already available. Hi Valerie, too cute! How sad that often people miss the true reason for Christmas- hopefully the little ones can continue to lead!! Our town Christmas parade was rained out tonight, so we missed seeing the floats and Santa on the back of the fire truck. A little child shall lead them – so true! Sorry about your parade being canceled. Will they try again a different date? Not sure, I hope so as the community Christmas carols and fireworks afterwards is also lots of fun. And everyone, I’m sure, put a lot of time, effort, and money into their floats! How cute! This is really funny. Thanks! Hilarious. So loved this story. Yay! I’m glad to hear that. I truly laughed out loud when reading this part of the story! Great book and awesome start to a new series!! Haha! That age always steals the show at the Christmas program! I enjoyed the whole book! Great job on writing the kids! I enjoyed the book. Thanks for writing! I truly appreciate that encouragement. Thank you. Great job! I could just picture Kade trying to hide in his seat. I’ve got this on my wish list! Better snag it while it’s in the box set, since it’s only 99c! Once the box set closes (Dec 30, I think), it will release solo… and at a higher price. The box set is definitely the best deal, plus you get stories by seven other Inspy Romance authors while you’re at it!